Central Board of Secondary Education (CBSE) declared University Grants Commission (UGC) National Eligibility Test (NET) December 2014 Written Examination Result ,Final Answer Key of paper-1 ,Paper-2 and Paper-3. 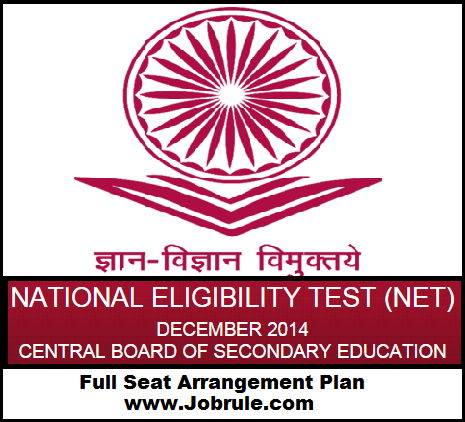 CBSE NET December 2014 Exam Result available on CBSE NET official Website (NIC). It is notified that the result of UGC NET for Junior Reserach Fellow (JRF) and Eligibility of Assistant Professor conducted on 28th December 2014 has been declared. CBSE NET December 2014 Community Wise /Subject Wise Cut Off Marks. The candidates who have grivances with regard to UGC NET December Final Answer Key ,even after declaration of this result, may send written request as per above given notification. 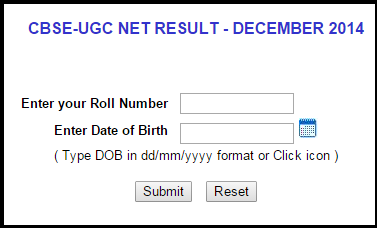 To check result of CBSE UGC NET December 2014 , simply fill up your UGC NET Roll Number and Date of Birth as prescribed on Application form, then click submit bottom. Wish You all the best. To check Paper wise Final Answer Key ,Simply Click This Link. UGC NET Decmeber 2014 Answer Calculation Sheet . How to Apply ? 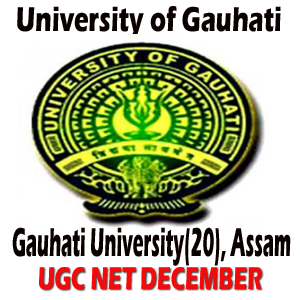 On behalf of University Grants Commission-UGC, the Central Board of Secondary Education (CBSE) going to conduct UGC NET December 2014 (UGC on 28th December 2014 (28/12/2014 Sunday) for determining the eligibility of Indian Nationals for the Eligibility for Assistant Professor only and Junior Research Fellowship-JRF & eligibility for Assistant Professor both in Indian Universities and Colleges (All the states and Union Territory). CBSE will conduct UGC NET December 2014 in 79 different subjects 89 selected (with 3 new NET Coordinating institution for NET Dec 2014) UGC NET Coordinating institutions spread across the country. It is notified that those candidates who are not submitted the hard copies/print copy of application forms /attendance slip to the respective coordinating institution (where he/she applied) , are required to bring two (02) copies of their admission card/admit card and one copy of of it must be submitted to the invigilator at the time of Written Examination/test. 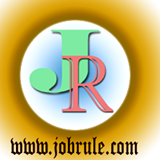 Jobrule is only website who arrange to share UGC NET December 2014 Seat Planning/Seat arrangement information according to NET coordinating institution code and name. Check below given chart, here we share 3 different rows for 89 (along with 3 new NET institutions) .On 3rd row, beside each university and college name , the NET December seat plan direct link (official website) is provided. Remember, the the link or pdf file will be available there only when such institution publish their UGC NET December 2014 seat arrangement details will address of venues. So , you are requested to Bookmark our respective webpage and like our Jobrule Facebook Page to get latest/current news related to UGC NET December 2014. We are sure, that our positive initiative will reduce your internet search times. So, just keep study and touch with us. 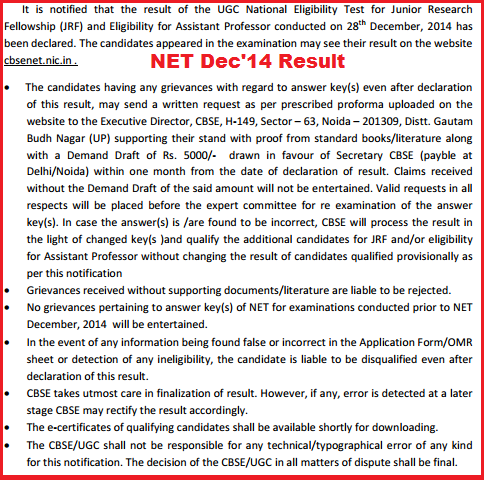 CBSE UGC NET December 2014. If you have any questions relating UGC NET December 2014 (regarding Subject-roll wise seating allotments/seat plan or other information) , just like our Facebook page and drop your question to our facebook massage box. You will get the reply within 24 hours with full solution. You can also ask your questions by entering your massage in below massage box or Live web chat to get instant answers. Keep Study and best wishes. Have a good day always. Enjoy our Free Web Service . Just spread our name everywhere . Thanks at all. 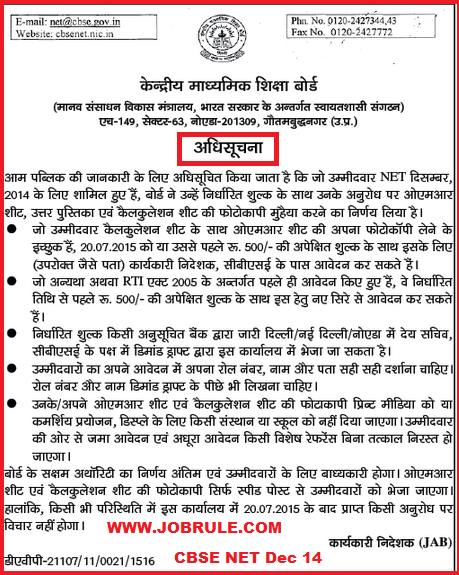 University Grants Commission (UGC) going to conduct National Eligibility Test (NET) December 2013 for eligibility test of Junior Research Fellowship (JRF) and Assistant Professors on 29th December, 2013 (29/12/2013). College of Vocational Studies, (Sheikh Sarai), Triveni, University of Delhi (Centre Code No-17) is one of the UGC NET Coordinating Universities . Those candidates who chooses College of Vocational Studies Delhi University (CVSDU) as the NET Examination Venue/centre can check details of Seat Plan, Seat allotments, Seat Arrangements (Subject and Roll Number wise) below. Total 55 Sub-center under College of Vocational Studies, University of Delhi (CVSDU-17) has been arranged for 29th December,2013 UGC NET Examination . Total 55 Sub-centers are selected for UGC NET December 2013 Delhi Venue . Here we upload first 30 centers details with college address and phone numbers. Check full list for conformation on official website (direct link given below). Like our Facebook Page to prepare online for Paper-I, Paper-II and Paper-III. We arrange online Free Mock Test for better preparation. Wish you best of luck ! University Grants Commission , National Eligibility Test (UGC NET Bureau) going to conduct NET December test for the eligibility of Junior Research Fellowship (JRF) and Lectureship is scheduled to be held on 29.12.2013 (Sunday). The Examinations for Paper-I and Paper-II are to be held in forenoon Session from 9:30 a.m.-10:45 a.m. & 10:45 a.m.-12:00 noon respectively and Paper-III in the afternoon from 1:30 p.m. to 4:00 p.m.. Those candidates who chooses Ranchi University (Centre Code-52) as their NET December exam venue/center can get subject-roll number wise seating plan, examination venue details, seat allotments, and more details . It is inform to all that those candidates who not submit hard copy of application form/attendance slip/challan are required to bring two copies of their Admit Card/attendance slip and one copy of it must be submitted to the Invigilator on the day of exam otherwise they will not be allowed to appear in the examination. To prepare online for UGC NET Paper I,II and III , simply like our facebook page. we will conduct online mock test on regular basis. University Grants Commission (UGC) National Eligibility Test (NET) for the eligibility of Junior Research Fellowship (JRF) and Lectureship is scheduled to be held on 29.12.2013 (Sunday). The Examinations for Paper-I and Paper-II are to be held in forenoon Session from 9:30 a.m.-10:45 a.m. & 10:45 a.m.-12:00 noon respectively and Paper-III in the afternoon from 1:30 p.m. to 4:00 p.m. Acharya Nagarjuna University (AMU) is one of the NET Coordinating University (Centre Code-42). Those candidates who chooses Nagarjuna University, Guntur, Andhra Pradesh as their UGC NET December 2013 exam venue, can check Subject and Roll number wise sub centre/venue details, seating allotments (seat plan), instructions and more details below.